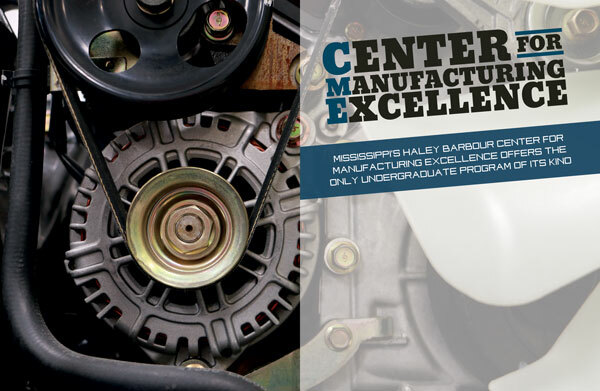 Situated in the heart of the University of Mississippi (Ole Miss) campus, the Haley Barbour Center for Manufacturing Excellence (CME) provides a world-class education for some of the brightest candidates across the country entering the manufacturing industry, producing some of the best graduating candidates for Mississippi’s world-class manufacturing community. 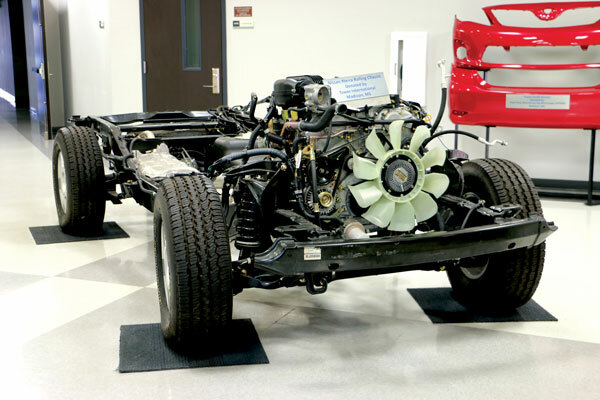 Less than 10 years old, the program was conceived by former Governor Haley Barbour, former Chancellor Robert Khayat, and Toyota, with participation by aligned state organizations including the Mississippi Manufacturers Association. Although Toyota was a major contributor, the goal of the center for all parties was to represent the manufacturing industry as a whole, not just from an automobile manufacturing perspective. The program was designed to complement engineering and business degrees, allowing business and accountancy students to earn a minor and engineering students to acquire a degree emphasis after completing the coursework to accompany their major. The CME program launched in 2010 with an inaugural class of 27 students. Today the CME reviews approximately 200 applications for 50 openings in the program each year, and in any given semester there are approximately 185-200 active students in the CME student body. The fully developed program now attracts students and instructors locally, nationally, and internationally. Local recruiting efforts begin early, with elementary and middle school students who participate in a program called “Make It Mississippi.” Through active engagement, recruiters are able to observe student character traits like teamwork, leadership, and problem-solving skills, essential traits the recruiters are seeking in future candidates for the CME. Candidates are tracked through their academic career and recruited out of high school. The Center for Manufacturing Excellence program boasts a retention rate of over 85%, which is rare among academic programs that are normally susceptible to the flexible commitments and changing focuses of an undergraduate population. The center is designed to provide real-life manufacturing experiences for students from three different schools on the campus — Engineering (Mechanical, Chemical, and General Engineering), Business (Marketing, Finance, and Management), and Accountancy (a top 10 program in the nation). The program brings the three student tracks together in their curricular studies and, ultimately, in manufacturing teams. Students attend classes and conduct project work in the 47,000-square-foot CME facility, that features modern classrooms, administration offices, and other manufacturing-focused facilities surrounding a 12,000-square-foot factory floor. Says Miller, “We are not training individuals to be factory floor workers. We are exposing individuals to the factory floor experientially so that they know what goes on there every day — from challenges to safety issues to innovations. Understanding the manufacturing process from all perspectives, from the boardroom to engineering to finance to production, is critical for our graduates to be world-class manufacturers. Along with deans from the partnering schools of engineering, business, and accountancy, the CME draws guidance and resources from manufacturers across the state. Advisers on the current board include representatives from Toyota, Huntington Ingalls Industries, Mississippi Development Authority, Hol-Mac, and the Community Development Foundation in Tupelo, Mississippi. In order to be accepted to the CME program, students have to pass a comprehensive review process that evaluates personality, academics, testing, critical thinking, and motives for joining the program. The program currently consists of approximately 60% Mississippi residents, with the remaining 40% coming from outside the state; of the students in the program, approximately 60% are engineering students and 40% are business or accountancy students. The complete curriculum requires approximately 20 hours of coursework in addition to the coursework required by each student’s degree program, with classes ranging from one to three hours each. This equates to one or two CME courses per semester. In addition to academic lessons, the CME program focuses on many real-world, practical skills in its coursework, including team building, strategic planning, business law, critical thinking, and problem solving. Completing the CME program earns business and accountancy students a Minor in Manufacturing Engineering, and earns engineering students an emphasis in Manufacturing Engineering. During intersession (between semesters), three special classes are offered in conjunction with actual manufacturing companies based on the Toyota Production Systems format, that Toyota developed and implements internally for their workforce. The three classes are 1) Process Flow, 2) Standardized Work, and 3) Factory Floor Problem Solving. The courses involve students working alongside staff in actual manufacturing companies that sign up to have the students join their team for a temporary assignment. The collaboration is designed to allow the student team to work within, and bring new perspectives to, real-world manufacturing environments. The CME teams have worked with noted manufacturing companies across product verticals, including Viking Range, Parker Racor, and the Yalobusha Brewing Company. Working with the manufacturer’s staff, CME teams research ways to increase efficiency and identify new innovations that can be applied to the company’s processes and floor operations. 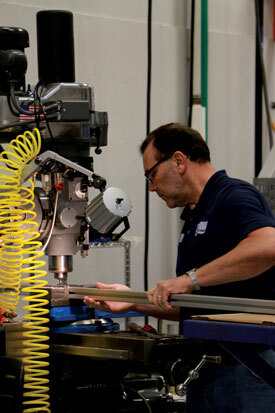 Some of these collaborations have yielded new best practices that have been adopted by the manufacturing companies. This is a win for all participants. Manufacturers gain new insights, students gain real-world experience (and class credits), and the CME is able to establish relationships and a reputation with the manufacturing community for the center and for the students. Internships are also a part of the CME program experience. Students secure internships in-state and out-of-state with a wide variety of manufacturers, in fields ranging from textiles to technology. Seniors engage in a two-semester final project before completing the CME program. The senior project, named the Capstone Project, is designed to bring together all lessons of the program into a real-world manufacturing project. Students from all three disciplines — Engineering, Business, and Accountancy — are brought together as a team to go through a full range of steps to experience the complete manufacturing process from concept to production. During the two-semester long Capstone Project, the students embark on the product journey beginning with pitching freshly conceived projects to a review board made up of CME faculty and staff. Select projects are chosen, students interview for roles in companies based around their products, and the students take the products through design, budgeting, market research, cost analysis, raw materials research, prototyping, and finally manufacturing production. Over the course of the project, students have access to the manufacturing facilities available at the Center for Manufacturing Excellence, including the boardroom, work areas, corporate-style office space, and heavily equipped manufacturing floor. The Capstone Project allows students to see the evolution of an idea from conception to planning to the acquisition of raw materials to a fully-manufactured product. The demand for the program continues to grow, as does the quality of its applicants and the participants. The CME is currently working on plans to fold in the Electrical Engineering program, for a total of four engineering tracks that will be participating. The CME is a thriving and active example of innovation in the manufacturing community and a pinnacle of manufacturing educational programs. This is evident from the modern facility with 431 solar panels on the roof that, on sunny days, power the entire CME building outside of the manufacturing floor, to the integrated learn-by-doing environment that leverages real-world experience inside the school and with national manufacturers. Mississippi, being a leading state in the nation for manufacturing, is a logical home for the Center of Manufacturing Excellence. Thanks to the foresight of former Governor Haley Barbour, former Chancellor Robert Khayat, and Toyota, who all took a leap of faith together in 2008 in establishing the center with a focus on all manufacturing, we can now bear witness to its success and its place in the manufacturing community of Mississippi.